The Liverpool FC website reports that Liverpool Ladies star Asisat Oshoala has been named ‘BBC Women’s Footballer of the Year 2015’. 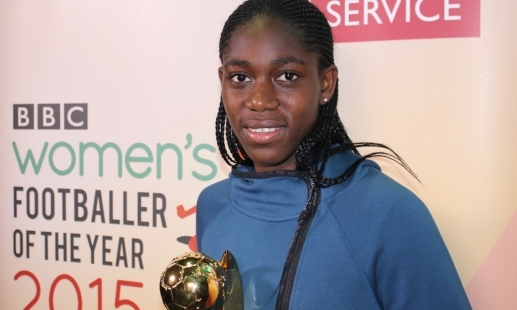 Oshoala received the most votes after an online poll. The shortlist was then selected by a panel of experts including administrators, journalists, coaches and former players. “I am extremely proud to have won this award as it is a real honour for both myself and my family. “Just to be nominated against such world-class players was a real privilege, but to have won the award is absolutely fantastic. “Last year was an incredible year as I managed to help Nigeria U20s get to the U20 World Cup final, as well as being named African Women’s Footballer of the Year, so this award tops off a great year.